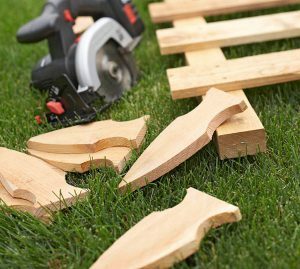 Wood Fence Panels - Is it Worth it? The wood fence panels are becoming more popular these days. They add to the beauty and the look of the house and serves best for the purpose of security and privacy. Fence molding come in different sizes and material and can be added to the front yard for the main purpose of maintaining privacy restricting the intruders and also it gives a security by securing children and pet animals in the yard premise. They come in various designs and depending on the purpose and personal liking, you can choose the one suitable for your yard. Among all different kind of fences, wooden boards, are the most popular one as they are very cost effective and can be easily installed at your own. These are light weight and easy to install. Gives excellent security and privacy from the intruders. Helps keeping the stray animals away from the garden area and provides best protection to the garden. Some of the wooden planks are sound proof and hence they help keeping the area free from noise especially if it is located on the road side. They are less expensive measures to add to the beauty to your garden or house. Wooden fence panel comes in various sizes and design and can be classified based on the wood quality used for the construction of fences. 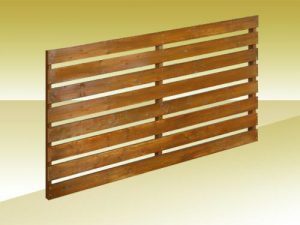 Depending on the size, these boards can be divided in to 4 foot, 6 foot and 8 foot fence panels. 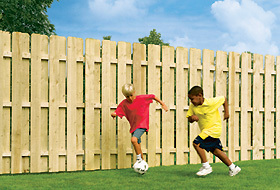 Cedar fence panels: these are the most durable form of wooden fences and come in two different colors, red and white. They give excellent texture and finish to the fence and are presently the best option for fencing as they last long and require lower maintenance. They have natural oil that makes them water resistance and guard them from the insect attack. Redwood fence: redwood panels are excellent to look and easy to install with the natural protection against water and insects. They have a longer life and does not require any treatment for prolonging the life. Pressure treated panels: the pressure treated planks includes treating the wood panels or lumber with certain chemicals under pressure to add up the longevity, durability and resistance. These are reasonably affordable fence design and cost lesser then cedar and redwood fences. Flat top solid dog ear paneling design: these panels give excellent privacy and security to the premise and also help in keeping it noise free. They are also used for isolating under construction areas or unattractive areas of your home keeping them out of sight. These are commonly used in commercial construction to safeguard and mark the restricted areas. Composite shadowbox wood fence: these kind of fencing is typically useful for securing garden areas which allows the air to pass through the spaces between the fences and also helps you to showcase the beautiful garden. These kinds of fence design include some space between the adjacent panels and add to the beauty and charm of the house. Spaced pickets: these are typically old designed fence and are used mainly for front or the back yard. They can be made from log board and helps maintaining the privacy while adding to the beauty of the house.